Nothing says comfort food more than piping hot casserole dishes full of Homemade Baked Macaroni and Cheese. Baked Macaroni can be a meal in and of itself or a hearty side that goes along with many family favorites. In today’s new cooking vlog for Homemade Baked Macaroni and Cheese, I share that we enjoyed this Mac and Cheese with baked chicken and steamed vegetables. You also might want to serve it with Slow Cooker Chicken BBQ, Easy Italian Chicken, or Slow Cooker Meatloaf. 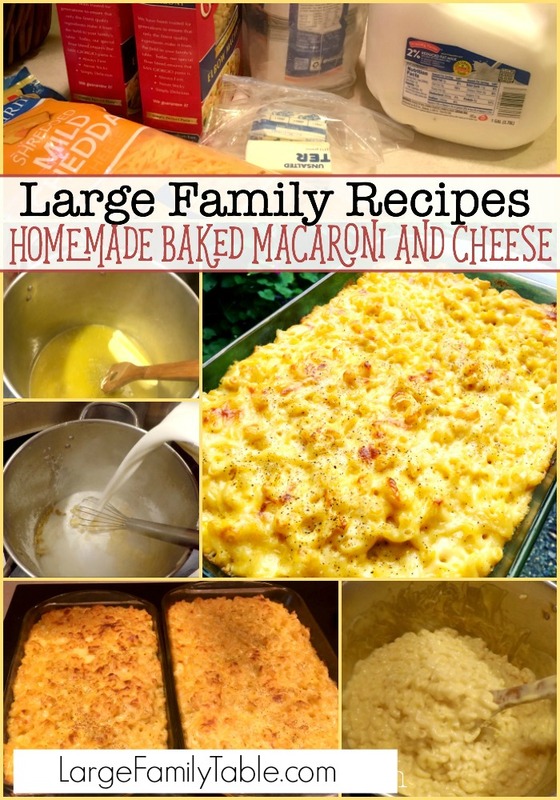 This large family style Homemade Baked Macaroni and Cheese recipe makes two 9×13 pans plus an 8×8 pan. 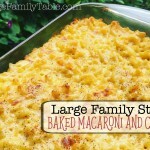 Your family will love this large family style Homemade Baked Macaroni and Cheese! Make several pans at a time and share any extra with the neighbors. This recipe makes two 9×13 pans plus an 8×8 pan. 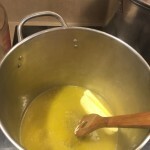 Pour 1 cup flour into melted butter and stir together until flour is thoroughly moist. 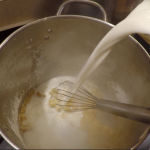 Whisk in 8 cups of milk. Stir constantly for several minutes until boiling. Stir in 8 cups of cheese until completely melted. This takes about 2-3 minutes of additional stirring. Remove from heat when thoroughly melted. Pour in 48 oz of cooked and drained elbow macaroni into your large pot of homemade cheese sauce. Stir gently, so you don’t mash your noodles. Spray your baking dishes with non-stick spray. Fill each dish 3/4 of the way full with Baked Mac and Cheese mixture. Top with removing shredded cheese if you’d like. I didn’t have any more on hand, and it still turned out nice and bubbly. Place baking dishes full of your yummy Baked Mac and Cheese into your preheated oven at 375 for 25 minutes. When your oven beeps in 25 minutes, check the top of your baked macaroni and cheese. You can turn your heat off, but let your dishes sit 5 or so more minutes in the oven, depending on how brown and crispy you’d like the top. 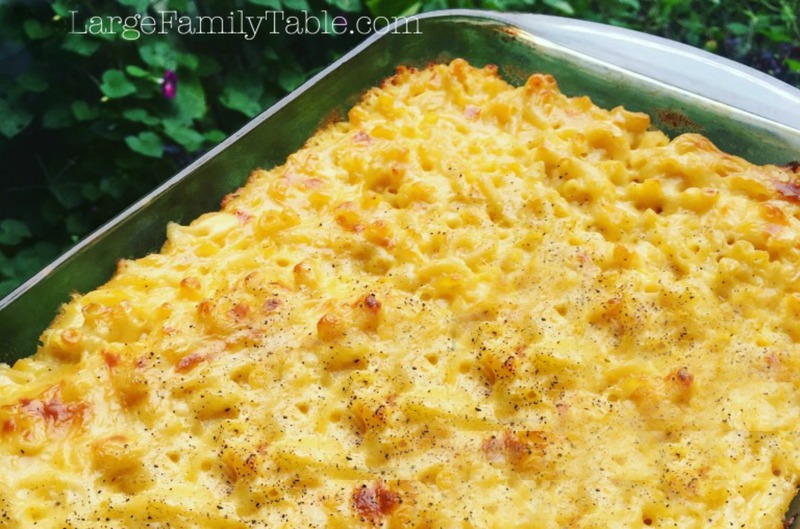 Your family will love this large family style Homemade Baked Macaroni and Cheese! Make several pans at a time and share any extra with the neighbors. This recipe makes two 9×13 pans plus and 8×8 pan. 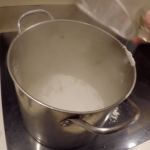 Spray your baking dishes with non-stick spray. Fill each dish 3/4 of the way full with Baked Mac and Cheese mixture. Top with removing shredded cheese if you’d like. I didn’t have any more on hand and it still turned out nice and bubbly. BAKED BEEF MACARONI AND CHEESE FREEZER MEAL | LARGE FAMILY RECIPES make one for now and two for later in deep dish 19×11 pans! This would break down to being around 7 or so 9×13 pans if you want to go all out. CHICKEN BROCCOLI ALFREDO NOODLE BAKE It’s chicken, it’s broccoli, it’s alfredo noodles. You can’t go wrong with those! 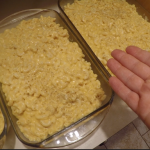 Click here to watch the full Homemade Baked Macaroni and Cheese | Large Family Recipes Cooking Vlog on YouTube! This is a great recipe to feed a crowd. I help at the local “soup kitchen” and this would be perfect and much enjoyed. Thanks for sharing. Is there a way to print out your recipes? That would be so helpful! I did and it attempted to print out 22 pages of the whole web page. Not sure what I did wrong! My whole family lives this recipe. Actually we have loved ever recipe we have tried of your’s! Thank you so much for such wonderful encouragement to us moms! Trying this recipe for the first time today! So excited since we’ve tried other mac and cheese recipes and they all lacked something. This was really easy to whip up too…had it in the oven in under 25 min. 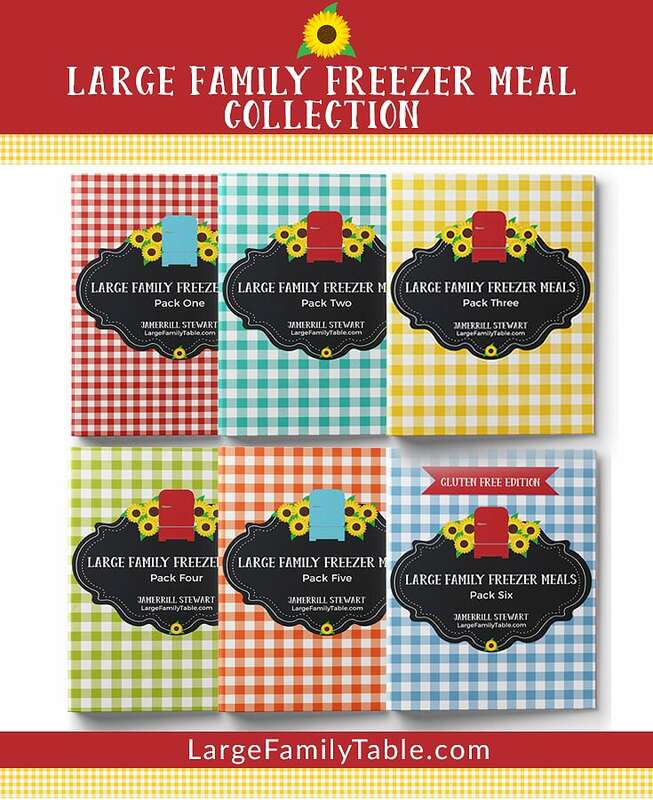 Can you place in freezer for a freezer Meal? before or after cooking? do u have to bake it could it be just regular mac and cheese? So easy, so cheap and it was absolutely delicious. We had a party for my mother’s 50th birthday, and people thought we order the Mac and cheese from a restaurant. Had to brag a little, but it was a hit! How many 9X13 dishes do most of your recipes like this make? Curious so that when dishes like this are made, I know that there will be one for dinner that night and then to know how many will be frozen will help with meal planning. I am getting together with friends over Christmas break and we are doing a big freezer cooking spree. So knowing how many dishes this makes will also help with our buying supplies and food. I have printed out many of your recipes that we voted on trying but now we have to figure out how many dishes each one makes. THANK YOU! I want to know this too. I’d like to know this for all the casserole dishes.